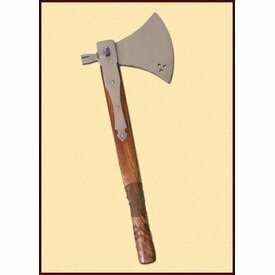 Axes like this were multifunctional on the battlefield: the axe could slash, the pikes at the sides could stab and the hammer could beat. 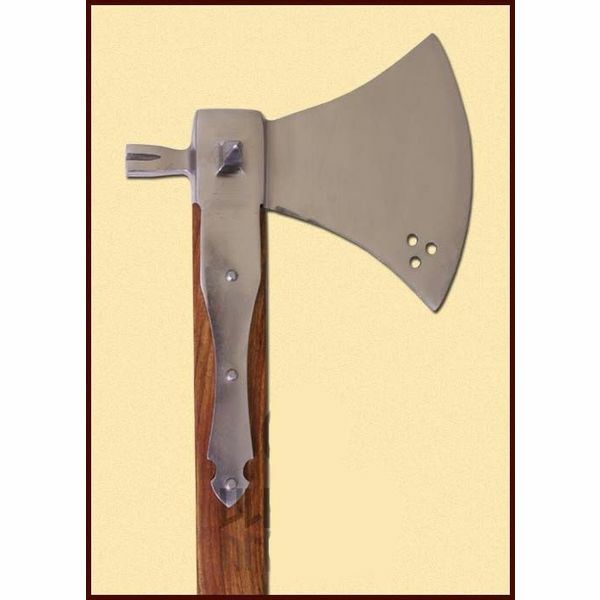 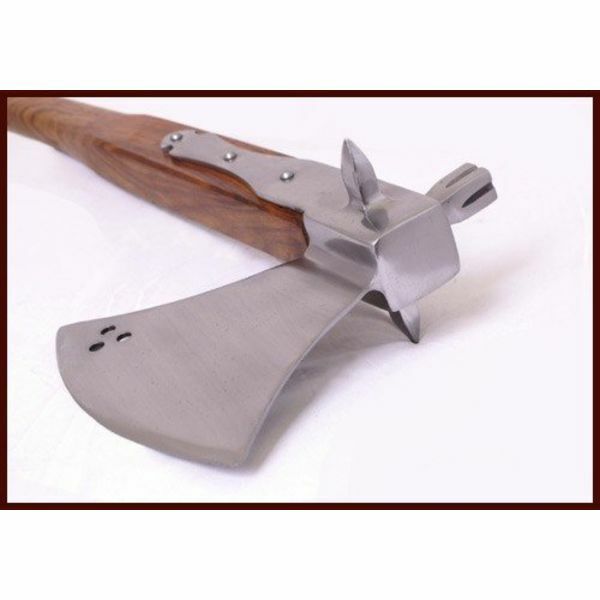 This axe is derived from a 16th century cavalry axe. 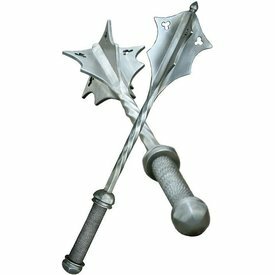 This is a robust modern version for decoration. Its length is 44 cm, the length of the head is 19 cm and it weighs 950 g.